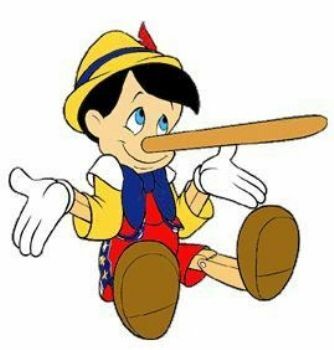 Studies show that the average person lies several times a day. In God’s word, He calls lying an ABOMINATION. Do you tell your spouse to tell people lies for you like to say that you are not home when you are? Do you tell “little white lies” just to keep yourself out of trouble? Do you exaggerate to your spouse things you have heard? 80% of people are not truthful. The Bible is the measuring tape we must use to determine truth. In Col.3:9, the word “lie”, in the Greek is talking about any type of falsehood. In every instance where the word pseudo (lying) is used, it carries the idea of someone who misrepresents who he is by what he does and by what he says. Is lying to your spouse something that you commonly do? These believers in the New Testament STRUGGLED with lying. Each and every one of us have had at some time or another been tempted to lie to our spouse. Truthfulness is the FOUNDATION to a successful marital relationship. Quit telling yourself that you are just exaggerating a little! Lying is an ugly EVIL!! The devil is behind all lies and God commands us not to lie to our spouse. Examine yourself to see if you are not INFECTED with the disease of falsehood before you point your finger at someone else. If you don’t keep your word, you are guilty of lying. FEAR and PRIDE are many times why we lie. First, we are afraid of the consequences we will suffer if we tell the truth. If we YIELD to fear, then we are showing God that we do not trust him. Second, we are prideful and concerned about what men will say about us. We often lie because we want the APPROVAL of man. The bible tells us that out of a man’s mouth will come out what is in his heart. It is a very serious matter with God when we lie to our spouse. Don’t act like it’s not a “big deal” and you can lie to your spouse. NOTE: Daily there is a new post to help your marriage to be successful. ← ARE YOU BETTER THAN YOUR SPOUSE?